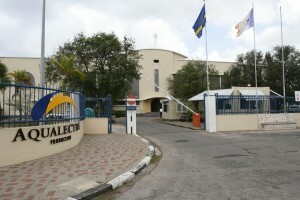 WILLEMSTAD - Dynaf Caribbean, together with Bredenoord from the Netherlands, which supplies emergency power generators, are taking the local utility company Aqualectra to court. They are filing a lawsuit against Aqualectra because, according to them, they presented the lowest and most favorable offer for the delivery of 10 megawatts for sixteen hours a day for a nine-month period, with a possible extension of another three months. The fact that Dynaf / Bredenoord came out with the cheapest price offer was revealed during a previous session with notary Myron Hu-A-Ng who submitted the quotes after checking for completeness. There were three candidates: next to Dynaf / Bredenoord, also Equipment Solutions / SOEnergy America and Aggreko. With the lawsuit, the combination Dynaf / Bredenoord wants to prevent Aqualectra from closing a deal with Aggreko. In spite of Dynaf / Bredenoord’s request, the government has not explained why they were not selected as preferred bidders. It is urgent, said the representatives of the companies because, on October 22, the generators must be delivered to Aqualectra. Dynaf / Bredenoord fears that the job can be awarded to another company at any moment, in this case, Aggreko. Aqualectra acts in violation of pre-contractual reasonableness and fairness and the general procurement principles, said lawyer Jan Burgers on behalf of Dynaf / Bredenoord and thus is "illegal" to them. The combination wants the project awarded to Aggreko to be stopped and organize a new public tender.